Hanoi (VNA) - Japanese drug manufacturer Taisho Group has acquired more than 21.3 million shares or a 24.4 percent stake in Hau Giang Pharmaceutical Joint Stock Company (DHG), the group announced on July 5. The group believes the transaction and alliance with DHG, as the leading drug maker in Vietnam, will enable it to share knowledge, technology and experience in the pharmaceutical business with DHG, resulting in an increase in sales and further growth for both company’s businesses in Asia. In addition, synergy is expected between DHG, with its strong presence in Vietnam, and Taisho Group. The group is committed to enhancing its pharmaceutical business in Asia and is striving to grow various business segments in the continuously expanding Asian market. According to data from the Vietnam Securities Depository, the Japanese drug maker bought the shares from 34 foreign shareholders, including Dragon Capital, VinaCapital and other stakeholders such as Fullerton, Nikko New Age Asia Equity, KITMC, Mekong Portfolio Investments Limited and Vietnam Holding. The foreign ownership percentage in DHG has almost reached its maximum level, with only 0.01 percent remaining. The value of the deal was not disclosed, but based on June 30 data, with each DHG share ending at 103,000 VND, the deal should be worth nearly 2.2 trillion VND (98 million USD). 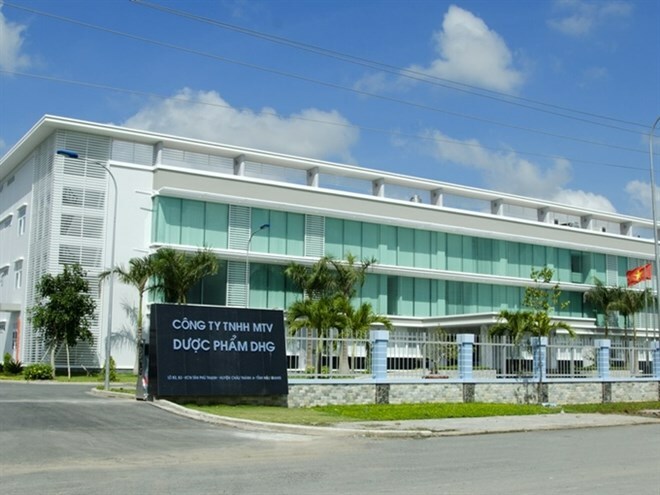 Based in Can Tho since 1974, DHG Pharmaceutical Joint Stock Company is one of the leading drug makers in Vietnam. As of March 2016, State Capital Investment Corporation, with 43.31 percent of the stake, was DHG’s largest shareholder, followed by Franklin Templeton Investment funds - Templeton Frontier Markets Fund, with 9.44 percent, and Portal Global Limited Holding, with 7.7 percent. When Portal Global Limited announced the sale of DHG shares to Taisho, the other two shareholders announced no change to their own stake. DHG reported marked net revenue of 3.6 trillion VND in the fiscal year that ended on December 31, 2015, posting a year-on-year decrease of 8 percent. Of this amount, the company’s net revenue in Q4 of 2015 reached 1.149 trillion VND. After Q1 this year, DHG rose 22 percent in sales, reaching 815 billion VND. Its net profit also soared 26.3 percent, reaching 368 billion VND. For the entire year in 2016, the company aims to earn 3.7 trillion VND in revenue and 750 billion VND in pre-tax profit. After the announcement of the 35 percent dividend for 2015 in May, DHG shares surged by more than 23 percent from a value of 82,000 VND to some 100,000 VND each on the HCM City Stock Exchange.